Last post I treated you to a Bane meme. Want some more? 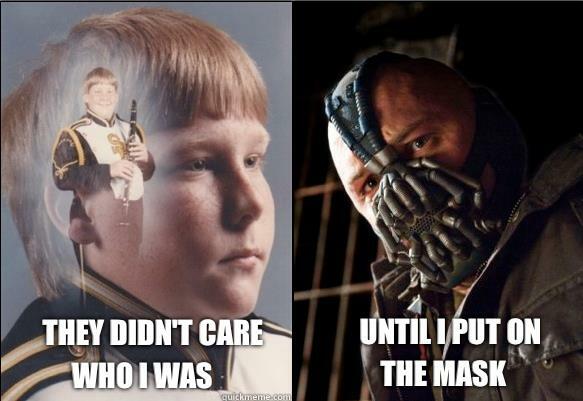 Learn of Bane’s childhood. The untold story. As a teacher, I feel I need to come out and say now that I am not a shadow scholar. I do not write papers for students. I have never written a paper for a student. However, once I did completely re-write a paper for a fellow student when I was in college. It was the summer, he was taking a marketing course online, he wrote a paper describing a plan to market and sell paper towels that “open easier” because there is an opening tear strip, everyone knew it’s easy to open paper towels by poking the top hole, and he had a lot to work on in terms of grammar and mechanics besides. So I completely rewrote his paper. The trade-off: He let me cleaned the lazer tag arena for me while I “edited” the paper. But Pat Robertson isn’t Fred Phelps of Westboro Baptist. WBB is rather benign, since there is a small number of them and nobody takes them seriously. No, Robertson is much worse. He commands a media empire, and countless people look up to him. Professed Christians are looking up to a servant of Shaitan. Three years ago, a fishy was terrorized by a terrible threat. Now, see the fate of the second fishy. And this one has opposable thumbs. 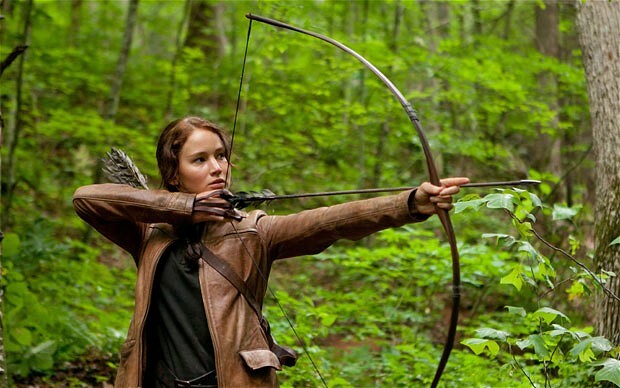 A Fist Full of Berries: Nobody Reads in Panem? The idea sounded silly. Then I saw the movie. Then read the book. Then the others. On the surface, the idea seems very profane. Kids killing each other. For entertainment. What has society come to? But if you read these books what you soon realize is that the book is using such a profane thing to ask questions about what entertains us, and what we are willing to embrace and accept, what we are passionate about changing and what lengths we will go to to make that happen, and what the consequences are of those lengths. And if you think that was a run-on sentence, then you see how oppression and violence can likewise run on and on and on, if we don’t do something to stop it.